One of the benefits of living in Baltimore is how close we are to charming Chesapeake towns, historic battlefields, and national parks. Keep these suggestions for day trips from Baltimore in mind the next time you need a break from city life. Note: Trips are arranged in order of distance by car from downtown Baltimore. One of Maryland’s largest State Parks, Gunpowder Falls State Park includes more than 100 miles of trails for hiking, running, walking, and biking. There' are also opportunities to bird watch, canoe, kayak, cross-country ski, horseback ride, fly fish, and more. This state park near Annapolis, Maryland is a popular summertime destination for families interested in swimming, fishing, crabbing, and hiking. Located in the shadow of the Chesapeake Bay Bridge, beaches at the park are staffed by lifeguards from Memorial Day through Labor Day. Within a half hour drive of Baltimore city limits is the charming historical district of Annapolis. Not only is the city Maryland capital, but also a great destination for those looking to rent a boat for the day, get some fresh seafood, or do some window shopping. Experience adrenaline-pumping rides such as the 200-foot Superman: Ride of Steel, or cool off at Hurricane Harbor, a water park with plenty of slides, a lazy river, and a wave pool. Our neighbor to the south is full of ever-changing attractions. Check out some new exhibitions along the National Mall, get lunch or dinner at a top-rated restaurant, see a show or concert at the Kennedy Center, or make a day out of visiting our National Zoo. No matter what time of the year, there are so many things to see and do in Washington, DC that you might want to plan to stay the weekend. 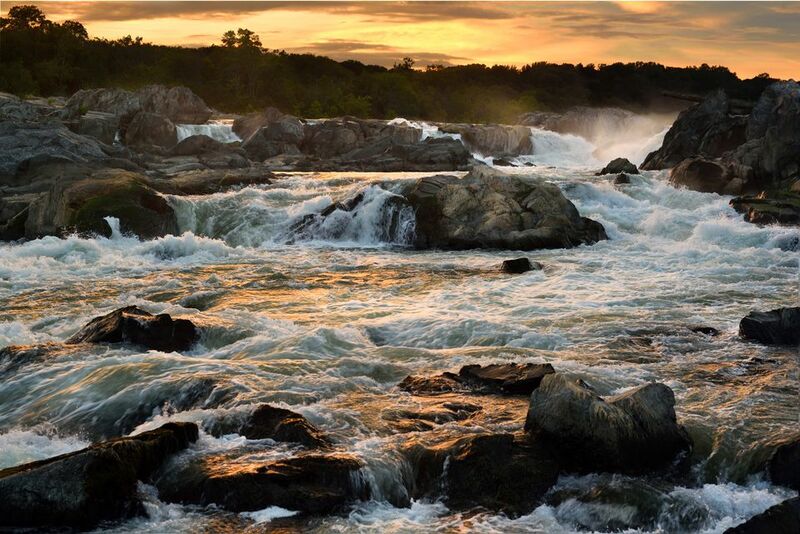 Another great day trip from Baltimore is a hiking, kayaking, or rock climbing excursion at Great Falls Park, an 800-acre state park in Virginia offering spectacular views of the Potomac River. There is a $5 entrance fee per car for visitors who drive into the park. Explore the 500-acre former estate of George Washington, including a 14-room mansion, stables, museum, and education center. Not to be confused with the neighborhood by the same name in Baltimore. If you don't have time to make it to Ocean City, Chesapeake Beach is a close alternative. The resort town has a boardwalk, antique stores, restaurants, a water park, and more. It's so lovely the town was voted one of the Top 10 Walks in the USA. History lovers will enjoy making the trek to Gettysburg, the historic location of the costliest battle of the American Civil War. Besides a museum and visitor center that relays tales of the war, Gettysburg National Military Park includes more than 40 miles of scenic roads and 1,400 monuments, marks, and memorials that commemorate the battle. Head to the Eastern Shore for a sailing tour, some antiquing, or a wine tasting in St. Michaels, a small town known for quality hotels, seafood restaurants, and gift shops. St. Michaels is also home to the Chesapeake Bay Maritime Museum, where you can learn about the history of the Chesapeake, as well as Hooper Strait Lighthouse, which is open to the public year round. Each year, around 330,000 people make a trip to Antietam National Battlefield, the site of General Robert E.
Lee's first invasion of the North. Learn about the battle at the Visitor Center, pay your respects at Antietam National Cemetery, or spend the day boating, tubing, or biking on an area trail. Once a recreation center for workers in Milton Hershey's factory, today Hersheypark has a huge assortment of rides and attractions for any age. Beyond the normal offerings of a theme park, Hersheypark also has ZOOAMERICA, which features animals native to North America, and Hershey's Chocolate World, where you can see how chocolate is made and get a free sample. Want to expand your trip? Check out these ideas for weekend getaways near Baltimore.